receive packages from the post and stock up on supplies. They are excited to return to the peacefulness of Kabala, especially as they prepare their hearts during this penitential season of Advent. As I type this post, the rain is falling hard and Seraphim is outside rebuilding and repairing the newly developed ditches in the gravel road at the skete. He is drenched. In order to prepare for the cold Winter, we are filling the gas tanks for the buildings in use at the Skete. Preventative measures and preparedness are imperative to maintain our buildings, our properties and daily life. Advent calls to attention the fact that as we give attention to the physical preparations - things that are temporary, it is even more important that we prepare our hearts and souls which are eternal. 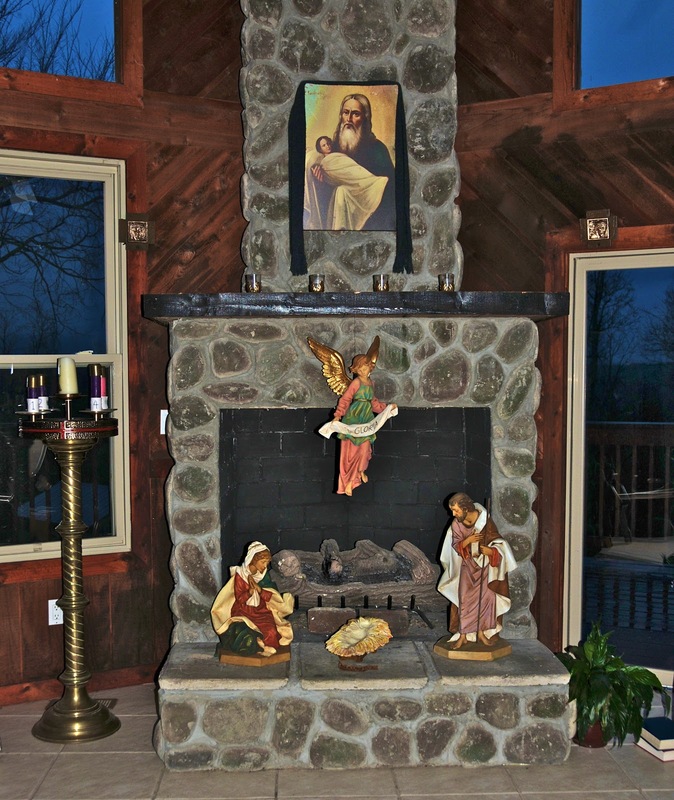 Nazareth House Apostolate began the Advent Season as we begin everything - in prayer. 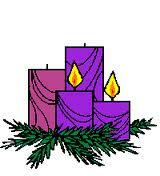 As the first Advent candle was lit in The Chapel of the Presentation, the Liturgy began. It is the custom of NHA at St. Simeon Skete to place the Nativity Scene in the chapel on the first Sunday of Advent, highlighting the empty creche - signifying the Season’s reason for preparation and expectation - the coming of Christ. The Wisemen are placed far to the East in the Chapel ... journeying closer each Sunday of Advent, finally making their way to the site of our Lord’s Nativity after Christmas. a sharing and celebration as we begin the fasting and penitential observations the next day. The materialistic “Santa Season” serves to distract us from having a meaningful, preparatory Advent. Consumerism, Self indulgence, Keeping up with the ‘Jones’ (people haven’t realized that the “Jones” aren’t happy, but they still want to be like them), mammon illness - all these things take away from having a real Christmas. There are many traditions and customs that help us to ignore these distractions and put them in proper perspective. 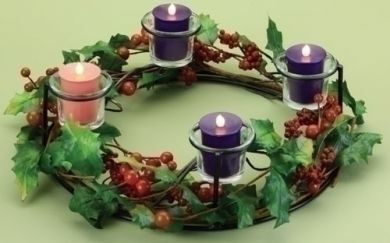 One tradition, the Advent Wreath, serves to keep us focused on The Important. Each night at the dinner table one candle for each week of Advent is lit, ending with all four candles lit by the week leading into Christmas. Usually the youngest child of the family lights the first candle. There are many prayers that can be found on the internet search engines to be said at the lighting of the candle, but it can be more personal and meaningful (especially to the children) to incorporate your own prayers. 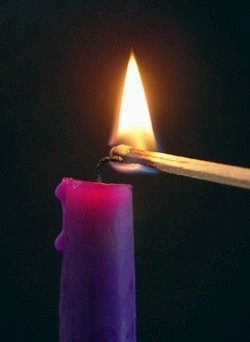 The first candle is the candle of Hope (expectation). This points attention to the anticipation of the coming of Christ. As God’s people were exploited by power hungry kings, led astray by self-centered prophets, and assuaged into apathy by half-hearted religious leaders, people began to crave a new king who would teach them how to be people of God and not of the world. They longed for the return of God in their midst. So, God revealed to some of the prophets that He would not leave His flock without a true Shepherd. While they expected a new earthly king, their expectations fell far short of God’s revelation of Himself in Christ. The world continues to be lead by dominative powers. We remain in expectation, with hope, for the coming of Christ. Our hope starts with the birthing of Christ in our own hearts. 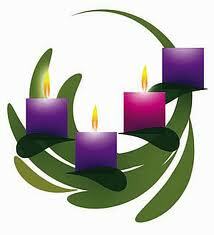 The sequence of lighting the candles for the remaining Sundays of Advent are that of Love, Joy, and Peace.